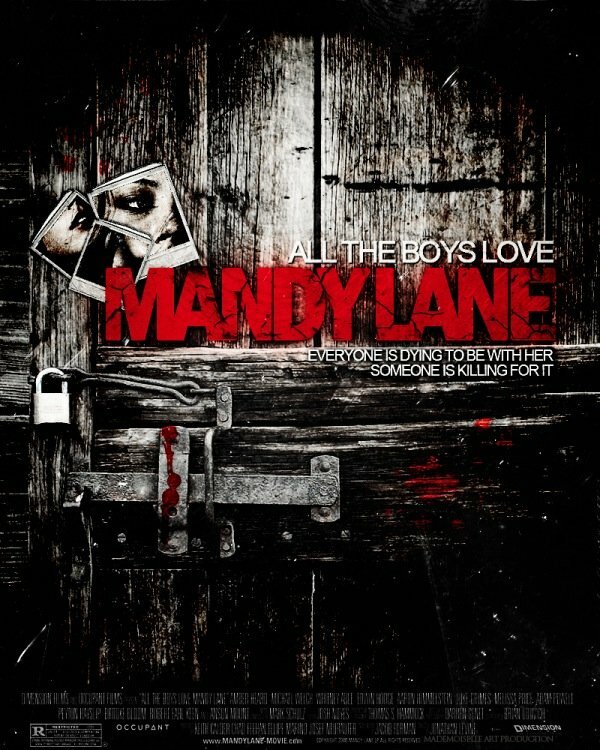 Crave Online posts the theatrical trailer for Jonathan Levine’s All the Boys Love Mandy Lane, comically advertising it as “the upcoming horror thriller.” That’s funny because those of us who have been paying attention know that Levine’s Mandy Lane has been “upcoming” for seven years! How much time has passed since they first collaborated on Mandy Lane? Let’s put it in perspective. Director Levine has gone on to become a respected filmmaker who attracted awards consideration for Seth Rogen and Joseph Gordon-Levitt’s cancer comedy 50/50, as well as this year’s zombie romance Warm Bodies. Amber Heard, the beautiful blonde who is Levine’s Mandy Lane, has graced the screen in a smattering of comedies (Pineapple Express, Zombieland), dramas (The Rum Diary, Paranoia) and exploitative genre flicks (Nic Cage’s Drive Angry). It’s very possible that the goodwill generated by Mandy Lane helped establish their careers … but they both also would have continued making movies without Mandy Lane seeing the light of day, so why now does this horror thriller have to reach theaters? It has been an interesting journey for the film, which built up a strong cult support group by screening at the 2006 Toronto International Film Festival, the 2007 South By Southwest Film Festival, the 2008 Fantasia Film Festival and countless other international events, earning raves. At the time, the Weinstein Company picked up the rights to the film and planned to distribute it through its Dimension Films shingle. But after Grindhouse underperformed, the studio sold it to Senator Entertainment and it sat on a shelf. And sat. And sat. Until now. Basically because it’s selling the same story, right? Gorgeous, mysterious high schooler Mandy (Heard) is invited on a weekend trip with her “coolest” colleagues. But during the trip, several classmates start disappearing. Could Mandy be behind it all? I’m happy that the movie’s finally getting a release, as those who have been reading about Mandy for years probably want to see why the movie has generated such hype. Here are a few cool posters, vintage and new, to get you fired up for the movie, which is coming out on Oct. 11.